*** In this post, I describe how we have established, and continue to develop, a digital identity for CityLIS, the collective tag for activities within the Department of Library & Information Science at City, University of London. I feel this post is timely, as we have recently set up a group on Humanities Commons, to enhance and extend our digital identity, to explore new ways in which we can engage with contemporary scholarly communication processes, and to increase our sense of community and belonging. This term I have been thinking about how to further develop our digital identity at CityLIS, in the light of ever changing technologies and scholarly communication processes. Many of us now live in a society where the distinction between online and offline activity is blurred. Luciano Floridi calls this ‘onlife’, and a corollary is that our individual and collective online profiles have meaning to everyone with whom we engage. Of course, we would like this meaning to be positive, and consequently we should, perhaps, pause for reflection on what constitutes an online profile, and indeed what we understand to be a ‘positive’ online profile. These are questions that doubtless will have different answers for different people. I think online profiles and digital identities can be regarded as essentially the same concept. For expediency, I suggest they are a confluence of how we describe and represent ourselves, and how we engage with others. Our identity should be authentic; indeed, the definition of digital identity is increasingly used to refer to a mechanism of authentication for financial and other transactions. I also support the idea that it is more holistic if our online personas do not stray too far from our offline counterparts, and that planned development is important for both individual identities, and the collective identities which represent groups of people, such departments, projects, organisations and institutions. This is not a novel concept, and often enacted within a ‘social media strategy’. Our social media profiles are not, however, the only mechanisms via which our digital identities are formed. It is important to consider that all of our online engagement contributes our reputation, and that the latter should not be considered as divorced from our real world existence. Whilst it seems everyone is living onlife, I notice that many students, colleagues and whole academic departments have limited or no digital identity. Despite the overheads required in time and ability, I think the moment has come for all those of us in the academy to have a digital presence. There are many reasons for this, and plenty of work exists which advocates, for example, the increased attention, (altmetrics), enhanced recruitment, and wider professional engagement that can result from extending our analogue lives into the digital realm. However, they are not discussed further here, as my intention is to write about what we are doing at CityLIS from the standpoint that we already believe it is not only worthwhile, but essential. Digital scholarly communication has developed rapidly in the last 5 years, fundamentally challenging and changing the ways in which knowledge is created, shared, organised and developed. Anyone who wishes to be part of this activity has to inhabit the digital as well as physical environment, and to engage with its methods and processes. Within the academic realm, the processes of digital scholarly communication are leading the transition to onlife. Within the context of our work at CityLIS, we encourage all our members to establish an individual digital presence. We encourage engagement and activity that is consistently professional, relevant and/or interesting to colleagues and/or friends. This does, and should, allow for warmth, personality and the occasional surprise, but the fine line between the personal and the professional is hard to tread for some. Whilst I understand this, the need for everyone in the modern library & information services profession to embrace digital communication is critical, and there is really no excuse at all for students and academics not to have a learning and/or research blog. In some cases, the personal and professional cannot be reconciled, and multiple electronic profiles may be the only solution for those with greater personality spectrums than others. 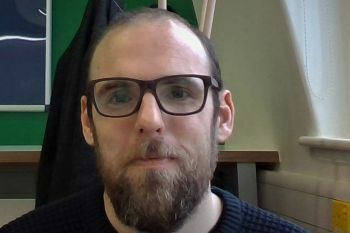 In addition to a profile on our longstanding, institutional, electronic communication systems, (email and VLE forums), CityLIS has had an active online presence since 2009, when a couple of individual staff members took faltering steps into the, as then, unexplored realms of Tweeting and blogging. Initially the collective digital persona of CityLIS was enacted through posts on our individual blogs, and via Twitter updates tagged with #CityLIS. 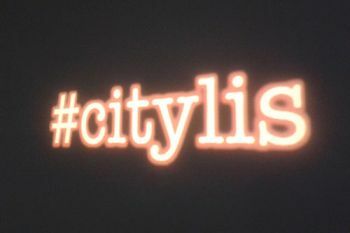 The twitter tag allowed others to contribute to the CityLIS collective persona, as searching for the tag returned a feed composed of posts from multiple authors. Eight years later, we have established a standalone digital identity for CityLIS, via our account @CityLIS on Twitter and our CityLIS News blog. Both accounts take input from our members, and so portray a collective, online profile. From September 2017, individual Twitter accounts, and a personal, professional blog will be mandatory for all new CityLIS members. We recognise that communication skills beyond the academic assignment are essential. Employers tell us that communication skills, and social-media ‘savvy’ are key among the abilities which are sought after in today’s workplace. Some of our cohort already engage with onlife at a broader level; media sharing is perhaps the most significant activity, and it is clear that our resource sharing and recommendations already include books, articles, images, videos, podcasts; the digital genie is not going back into its virtual bottle. We have thought about an Instagram account, as images feeds are undoubtably significant, but each additional facet to our digital identity, however popular or helpful, requires additonal time, and this is one of the main challenges to establishing and maintaining online presence. The concept of onlife, however, does not exclude the material world that we inhabit, and it is important for our physical and emotional wellbeing, and professional success to blend and connect our digital personas with our analogue existence. To this end, I would like to outline some of the innovative approaches we are taking at CityLIS to encourage knowledge creation, understanding, and sharing, alongside relationship building, with each other, with academic and professional colleagues and with the wider community. These approaches are designed to enhance both our individual and collective, digital and analogue identities. For the past 5 years, all CityLIS members have been encouraged to set-up a Twitter account, which they can use to follow our well-known course and departmental hashtag #CityLIS. This tag has proved so popular, that other LIS departments have set up their own, for example #ucllis and #aberlis. Students and staff are strongly encouraged to tweet, but this is not assessed in any way. Those who choose not to share resources and conversation via Twitter are asked to connect by checking what others are posting. The Tweet feed serves as an excellent way to communicate amongst our masters students, and it has proved to be a way to keep in contact with our alumni, and the wider community. Although other social media platforms, such as LinkedIn and Facebook are used by some students, these tend to be used by partial cohorts, a particular student year for example, and have not been as successful in gathering everyone together as Twitter. As mentioned above, we now also have a collective @CityLIS Twitter account, run by the course team. We monitor Tweets tagged with #CityLIS and retweet them from our account, alongside original announcements and resources. This provides a wide-ranging and varied feed, reflecting the wider interests of our students, staff, researchers, friends and alumni. The Twitter feed is useful for potential students, in that they can join in the conversation before they arrive at enrolment. We also make use of Twitter Lists, as a way of curating and sharing LIS-related collections of accounts. All members of CityLIS are asked to set up their own blog, suitable for professional, reflective writing and for some modules, formative assessment. Apart from posts set for assessment, frequency of blogging is at the discretion of the individual. We all benefit from reading each other’s thoughts and ideas, and from experiencing different styles and levels of writing. Personal blogs also serve as portfolios for students to take away with them once they have left the course, and in some cases the written reflections and essays can help in providing evidence of skills for job applications. A selection of student posts is chosen for cross-posting to our collective CityLIS News blog. These can be found catagorized under ‘Student Perspectives’. They serve as an historic record of our students’ thoughts and work, and also as a window into the activities and interests of our masters students, which is useful for potential course members, and for anyone interested in contemporary writing in library & information science (LIS). In January 2017, we introduced a new category on the CityLIS blog; CityLISWrites. In this category we publish some of the best, or most interesting student essays, which were submitted as assignments in the previous term. Much of the high quality work completed for assignments by our students lies forgotten once it has been graded. Our innovative approach encourages students to develop their essays once feedback has been received, and to share and comment on each other’s writing. This broadens understanding of essay topics, and experience of writing styles and approaches. A glance at our blog statistics shows the essay posts attract a lot of views. We are confident that sharing our work at this level enhances our digital identity. Use of Creative Commons licences, and the existence of the Turnitin system make plagiarism from the essays unlikely, whilst citation of and engagement with student work becomes more likely. We will see what happens in time. The essays are published as stand-alone blog posts, with the permission of the authors. Grading and comments are not included. Essays to be published are chosen by the course team, from those with a grade of 60% or above. This approach works well for items of unique work, and it is accepted that not all modules or courses would produce assignment work suitable for sharing. CityLIS has a strong focus on face-to-face teaching and social interaction. Students need to attend the scheduled classes in order to gain the maximum benefit from the course, as not everything can be rendered as a digital document to be shared on our e-learning system. In addition to our scheduled classes, we arrange a variety of optional, professional visits for our students, and we run a series of discussions around professional issues that are open to everyone, whether associated with the univesity or not. This latter series of events is referred to as ‘AfterHours’. We run three Open Evenings each year, at which potential masters students can find out about LIS as a discipline, what it is like to study with us, and what sort of careers the course could lead to. These popular events are attended by staff, current students and alumni, and we often have guests from the univeristy library, mentoring service, from recruitment specialists, and our professional body CILIP. Potential CityLIS students are also welcome to attend a scheduled class of interest, if they would like to find out what attending a university course might be like, before committing to studying. Details of all CityLIS events, and selected scheduled classes can be found on the Events listing on our blog. Events are also promoted using Twitter. We successfully use our digital profile to enhance our physical identity. Our newest venture goes beyond collecting and sharing our student blog posts and essays, and aims to facilitate sharing of our significant research papers, data, dissertations, theses and presentations. Whilst staff and research students are able to use the City Repository, the Humanities Commons network provides us with the opportunity to create a core collection of our combined intellectual output, including that from masters students, alumni and affiliated colleagues. The Humanities Commons offers an open access repository, and as such makes it easy for documents of all kinds to be shared. The concept of open access is a key factor for change in scholarly communication processes, with the aim of making research findings and review free to access at the point of use, and to use or develop, via the internet. The non-profit Humanities Commons network is open to all, and anyone can register in order to establish a profile, upload their work, join groups and engage in further professional communication activities. All outputs uploaded to the repository are given a Digital Object Identifier (DOI), that serves as ‘a permalink, citation source, and assertion of authorship all in one’. We have established a group, CityLIS, on the Humanities Commons, which any student, staff member, alumni or honorary members can join, once they have registered with Humanities Commons. Members can associate their uploaded files, with the CityLIS group, so that their work is included in our collection. The collection is visible to everyone, whether a member of our group or not. The group function also allows us to communicate with each other via a discussion forum, to schedule events, to link to a website and to work collaboratively on documents. This initiative, for us, is a work in progress, and we are encouraging our cohort to both sign up to Humanities Commons, and to join our group. We are especially keen for our alumni to share dissertations that were awarded a mark of 60% or above, and for our PhD students to upload their completed theses. In time we hope to add other significant publications, so that the collection extends and enhances our digital identity and reputation. The success of this new facet to our CityLIS digital identity, one of a collective repository, remains to be seen. It will depend on how willing our cohort is to share their work, and to spend some time understanding how the network functions, and exploring ways in which it can be used. At the time of writing, March 2017, we have 9 members and 5 shared documents. New communication technologies and services appear almost daily, and it is inevitable that our current solutions and practices in respect of our CityLIS digital identity will have to evolve with hardware, software, social and professional trends. There is a need to be constantly aware of how onlife works, and to understand which are the most effective and sustainable pathways through the infosphere. This takes time and resources. Our digital identity utilizes services external to the university. This is risky, in that we have no control over the future of the services, nor even over whether they continue to exist, or not. Nonetheless, we believe establishing our digital profile in the wider networked environment is essential, if we are to be present in the spaces where knowledge creation, sharing, organisation and development takes place. Onlife diffuses the borders between our personal and professional activities, and whilst this requires diligence in navigation, we cannot be left out of the conversation. Digital engagement requires understanding of coding, file formats, backup procedures, citation styles, copyright, attribution and permissions, and design, all of which can be complex to learn and to practice. Digital identities require a high level of digital literacy, and are consequently demanding of time and effort in addition to that required for learning, teaching and research. In academia, the responsibility for collective digital identity is often added in to individual workloads, without recognition or additional resources. Finally, the blurring of boundaries in the infosphere allows for anti-social behaviour that is difficult to control. Keeping our digital identities safe from hacking or other abuse is yet another concern. As in real life, identities on the internet are not always trustworthy. The possibilities offered by digital scholarly communication are exciting and liberating, offering innovative ways to work which we believe will be more efficient, effective, enlightening and enjoyable. The combined activities described above allow us to extend the reach of our course beyond the classroom, and to create a greater sense of involvement and belonging. The need to create a community of learning, achievement, support and enjoyment around our course is vital in today’s world, where personal goals and relationships are all too easily ignored in favour of organisational quantification and metrics. Virtual communities can, and should, have meaning in real life. The transition to onlife, advancing our reputation and identity by blending our online and offline personas is essential. Measuring the success of this move is difficult to do precisely however. Twitter, blogging and repository platforms will readily provide basic descriptive statistics and analytics which can show digital engagement over time, in terms of members, followers, views, downloads, comments, citations and retweets. Correlating these measurements with organisational aims and objectives is harder, and this is something which we have yet to explore. Furthermore, it is also difficult to measure whether we are increasing our sense of belonging and feeling of community. To undertake these measurements with any coherence requires resources. Onlife does not provide us with a blueprint for success, and much is still uncertain. What is certain is that the activities which I have described here are a work in progress, and comments and suggestions are welcome. Another certainty is that time only goes in one direction. Forwards then.